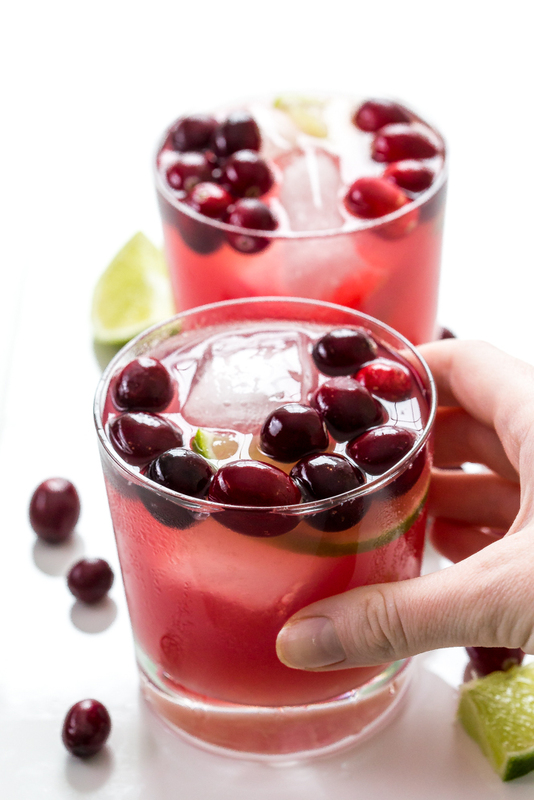 Colorful Cranberry Margaritas. Tart and perfectly sweet. A festive cocktail to serve during the holidays! Happy Saturday! Time to celebrate with a cocktail! I absolutely love margaritas! My Mom and I have been on a margarita kick for the past year now and we both can’t get enough of them. I love adding fruit to a margarita to combat some of the tartness. This margarita is the perfect combination of sweet and tart. You only need 4 ingredients and 5 minutes to whip up this margarita. I kept it simple and added a splash of cranberry juice. 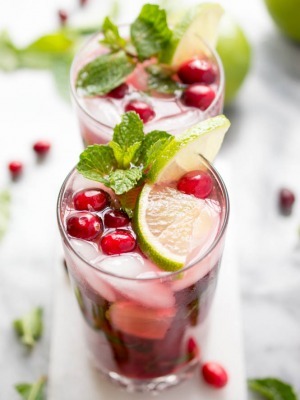 You can always go the extra step and use my cranberry reduction in my Holiday Cranberry Pomegranate Mojito. Simply add all of the ingredients to a cocktail shaker and stir. Pour into a glass and serve! I like to garnish them with lime wedges and fresh cranberries! 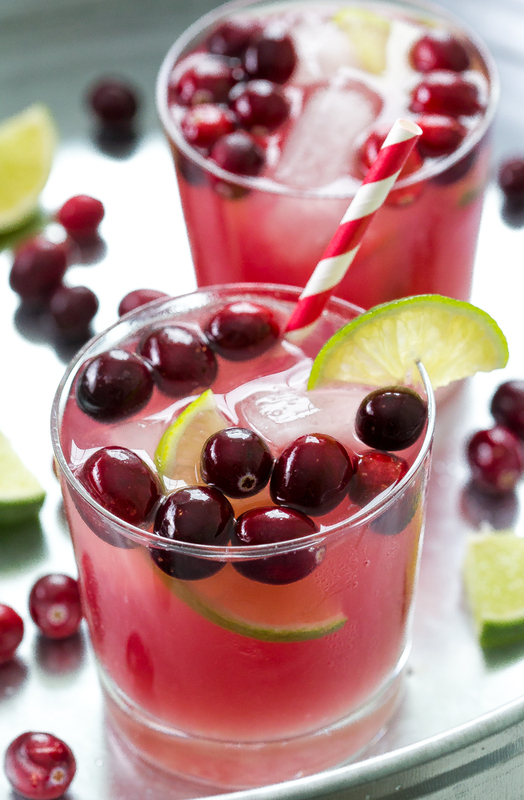 The sweet cranberry juice and the tart lime make the perfect combination. It is super festive and a perfect cocktail to serve over the holidays! 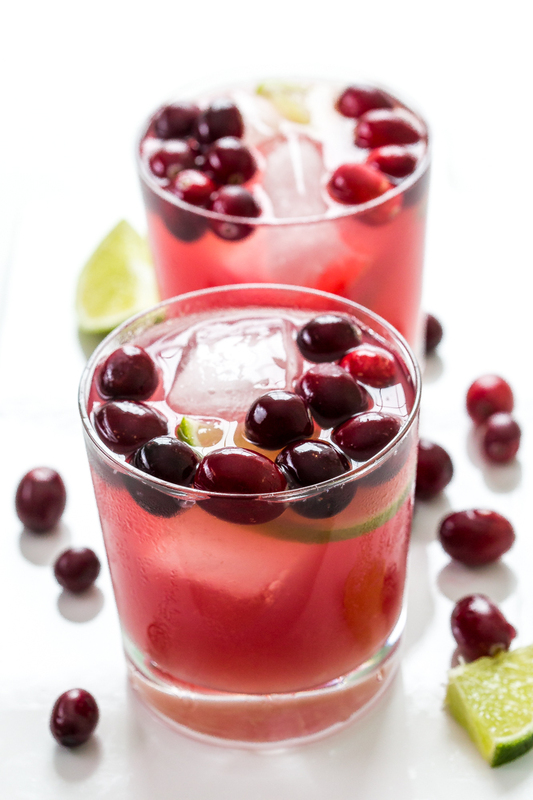 Love this Cranberry Margarita? Here are some more drinks to try! Rim two glasses with sugar or salt if desired. Fill will ice. 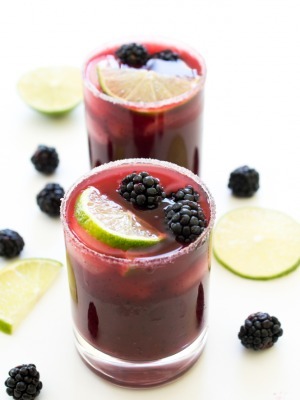 Divide margaritas between the two glasses and serve with fresh cranberries and lime wedges for garnish, if desired. I think my mom and I need to get on a margarita kick if it results in deliciousd rinks like this! YUM! What a pretty drink, Kelley! I’ve never had a cranberry margarita before, so I bet this is delicious! I love how festive this is for the season! 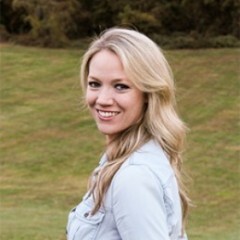 Bring on the margaritas Kelley! These look sensational!! Um, these look amazing! It’s not too early for one now, is it? I’m loving all the cranberry things this fall! Yaaahhhsss to margaritas! Especially festive and fun margaritas like these! LOVE the cranberry is here! These are too gorgeous, they make me want to declare every hour 5 o’clock cocktail hour! Cheers, my dear! 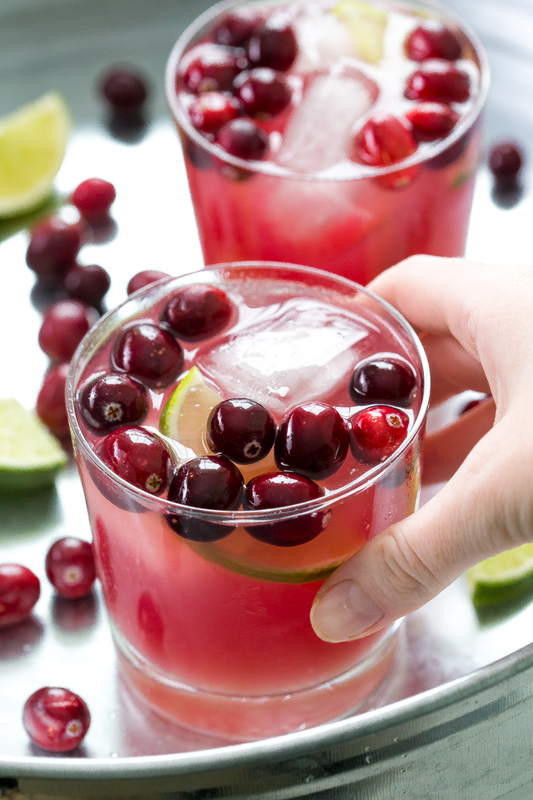 I’ve never had a cranberry margarita, but I love the idea! These sound so perfect and festive for this time of year! These look absolutely delicious. I’ve had something similar but this seems to hit the nail on the head much better!! Thanks for sharing. Looks like the pitchers at the “adult table” for Thanksgiving may have this!! Haha.